The Bonneville Brougham was the "top of the top" of the line for 1969. An up-option on the Bonneville, it even brought genuine leather when added to the convertible. 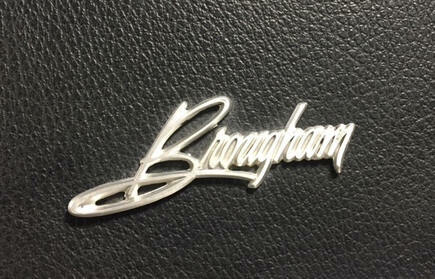 The Brougham received only a unique C-Pillar nameplate on 2-door coupes. Convertibles therefore received no exterior badging above their Bonneville status. 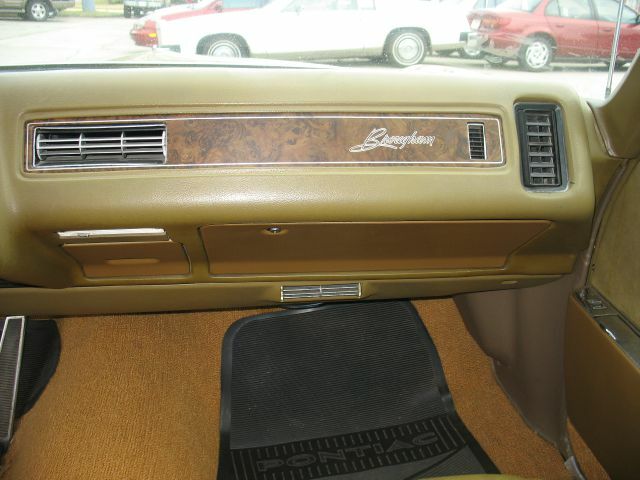 On the interior, the woodgrain passenger side dashboard reads "Brougham" in script rather than Bonneville. 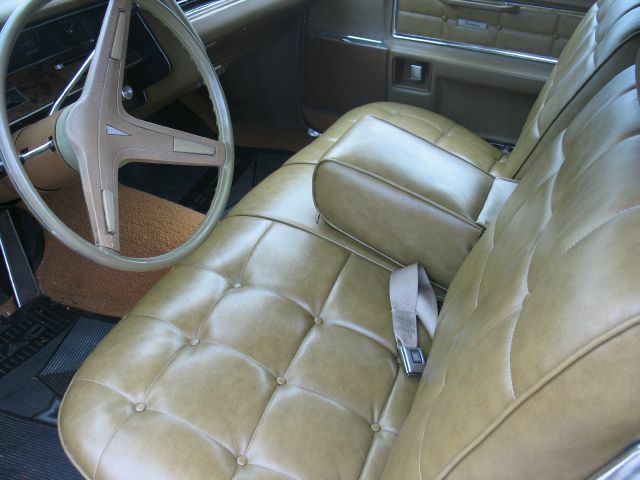 The seats (see here for specific coupe and convertible information) carried a unique "Biscuit" stitching pattern that was carried up onto the door panels as well, displacing the typical woodgrain insert. 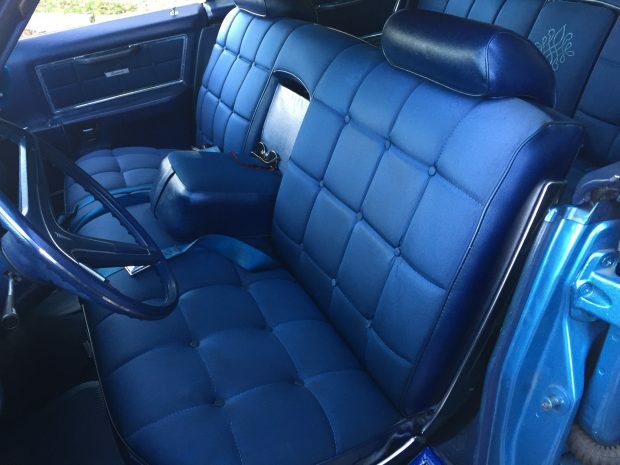 The Brougham Coupe (2-door) was available with a Blue, Green, or Black interior with this stitching. The 4-door hardtop added a Burgundy option. 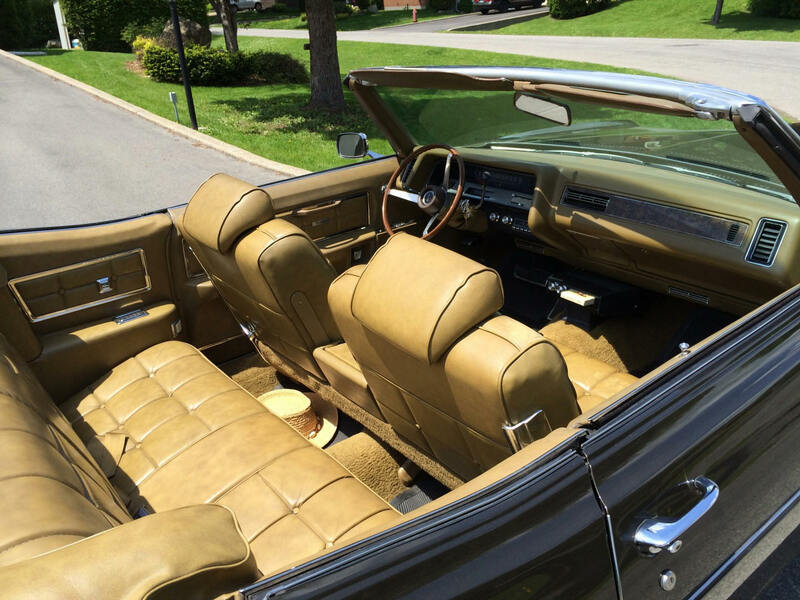 In the convertible, only gold and black were available, and both in a real leather/vinyl mix. For a color other than gold or black in a Convertible you had to drop the Brougham option. 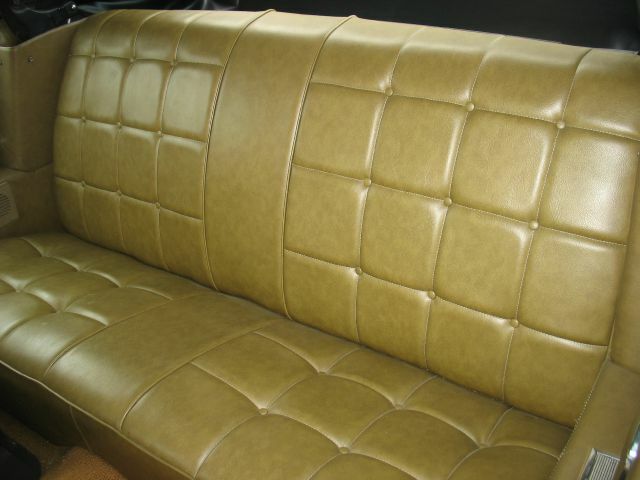 ...whereas the convertible lacked the rear arm rest, but in Gold or Black, brought you real leather. The following is another Brougham convertible, this one finished in an Espresso Brown exterior with Gold leather interior.